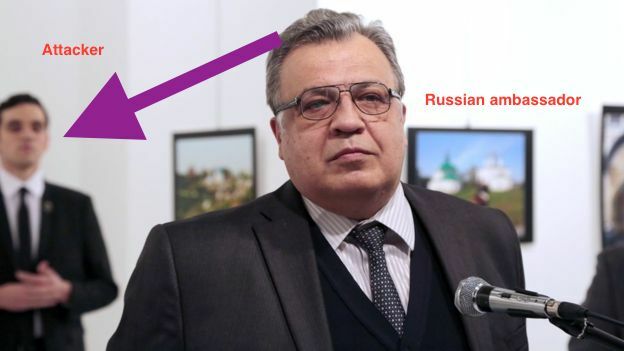 On December 19, Andrei Karlov, the ambassador to Turkey, was killed in Ankara by an off-duty police officer in a terrorist attack, as the ambassador gave a speech at an art gallery in Ankara. The killer bypassed the security checks by showing his police ID, pretending that he was Karlov’s official bodyguard . The shooter was killed by Turkish special forces in a shoutout. Turkish police are investigating killer’s links to various terrorist organizations. And an iPhone 4s was recovered from the shooter. But the phone was locked with a 4 digit passcode. Looking for leads on the terrorist’s iPhone 4s, Turkish police and Russian authorities want to crack the PIN code on the device to access its content. So far, attempts to unlock the device have been unsuccessful. Apparently Russia offered help and Russia is planning to send a special technical team to Turkey to unlock the iPhone, a senior Turkish official told us. Turkish officials also contacted Apple. Although Apple has not said anything yet, it is clear that Apple will not help. UPDATE: It seems that The Russian team successfully unlocked the phone. Details are unknown. But the crack of killer’s iPhone4S might have yielded some results. UPDATE 2: It seems that The Russian team could not, technically, unlock the phone but the team were able to retrieve some data from the device without fully unlocking. In USA, the FBI successfully unlocked an iPhone 5C, owned by the San Bernardino shooter Rizwan Farook, without Apple’s help.